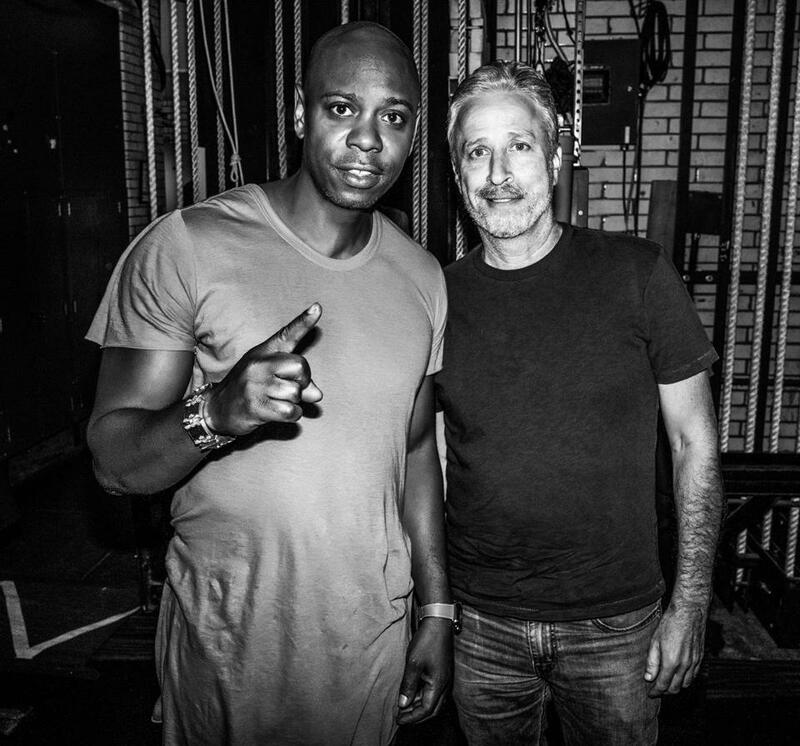 Dave Chappelle and Jon Stewart will perform in Boston June 11-13. Good news for those still smarting over the loss of Jon Stewart from the late-night TV comedy line-up: He’s going on tour. A brief tour, but a tour nonetheless. To deter scalpers, tickets will be only available exclusively through Ticketmaster’s Verified Fan platform. Registration is open now but closes Wednesday, May 16, at 10 p.m., according to the Ticketmaster site. That “unlocks” tickets, which then go on sale Friday at 10 a.m.
Stewart stepped down from “The Daily Show” on Comedy Center in 2015 after helming it for 16 years. Though he’s an executive producer on “The Late Show with Stephen Colbert,” Stewart has remained mostly off-stage, only occasionally popping up on that show. He famously appeared during one of Chappelle’s sets at Radio City Music Hall in August 2017. It’s not clear yet whether the duo will tour more widely this summer, but the Ticketmaster promo blurb references “shows across the U.S.” Fans should keep their fingers crossed. Mark Shanahan of the Globe staff contributed. Hayley Kaufman can be reached at hayley.kaufman@globe.com.